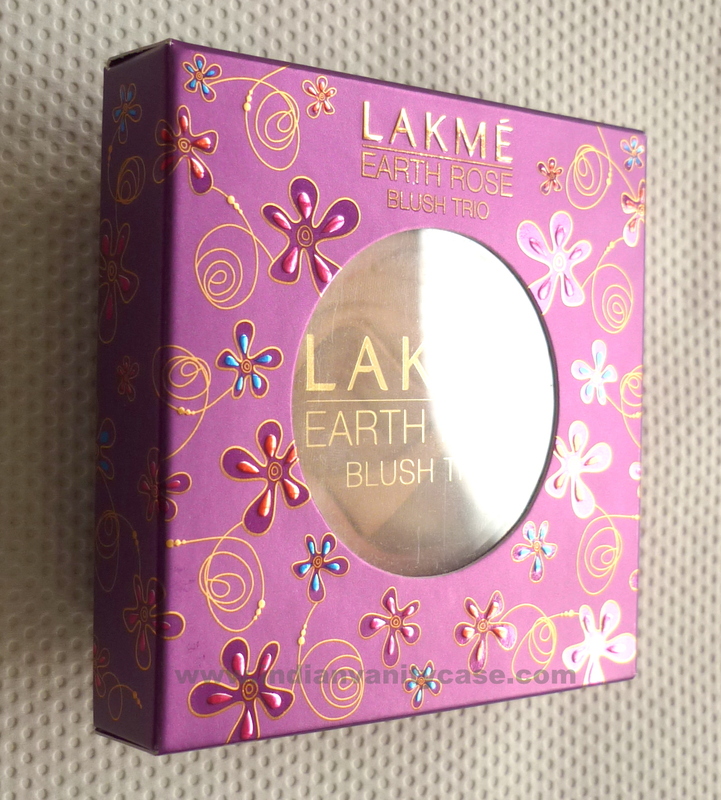 Here are better pictures of the Lakme Earth Rose Blush Trio. The colors weren't coming out properly with flash the first time. 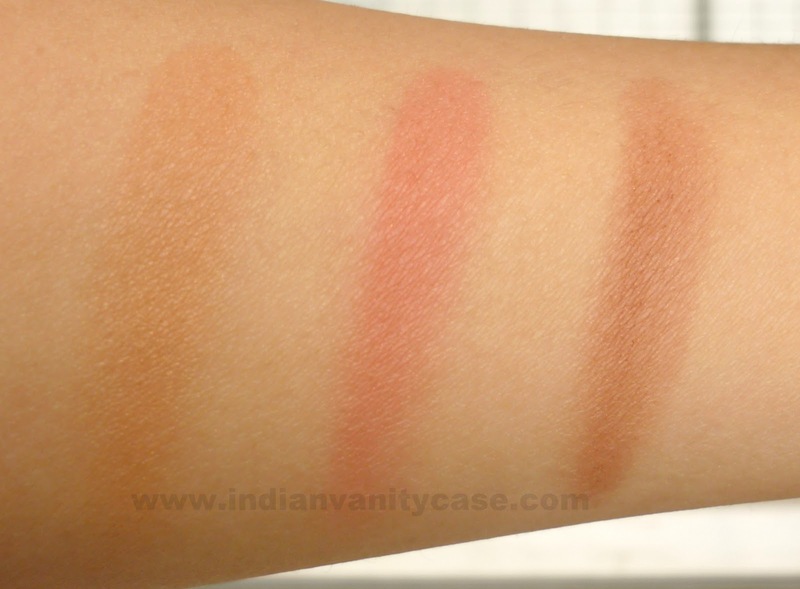 And I promised you a face swatch. It's hard for me to do face swatches on all products, especially with face products, but I'll try to do them every once in a while. 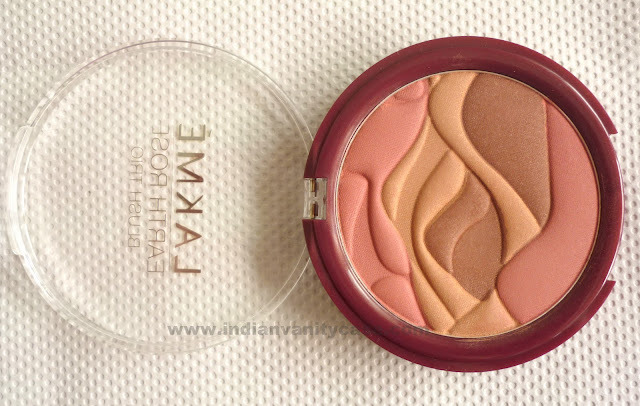 I'm still in awe of the design of this blush. I love it! The colors, the pigmentation, how easy they are to blend all together. I really think you should have this. It's perfect for Indian skin tones. Somebody asked me if the colors get mixed together when you swirl a brush on it. Not really. A little bit stray out of their respective places, but it's nothing to worry about. 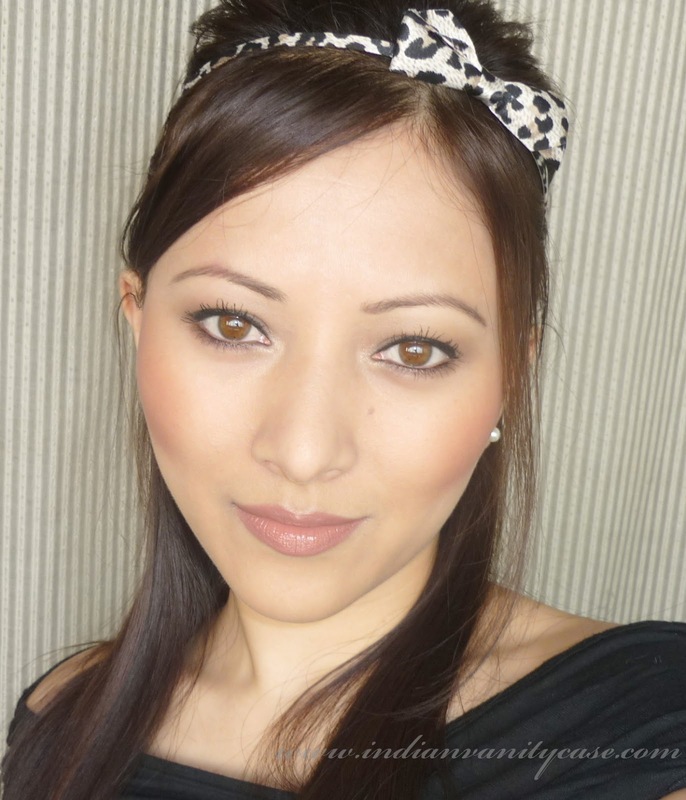 A little goes a long long way with this, so don't use a very dense brush or a kabuki to apply. Outer box. Isn't it so pretty?! 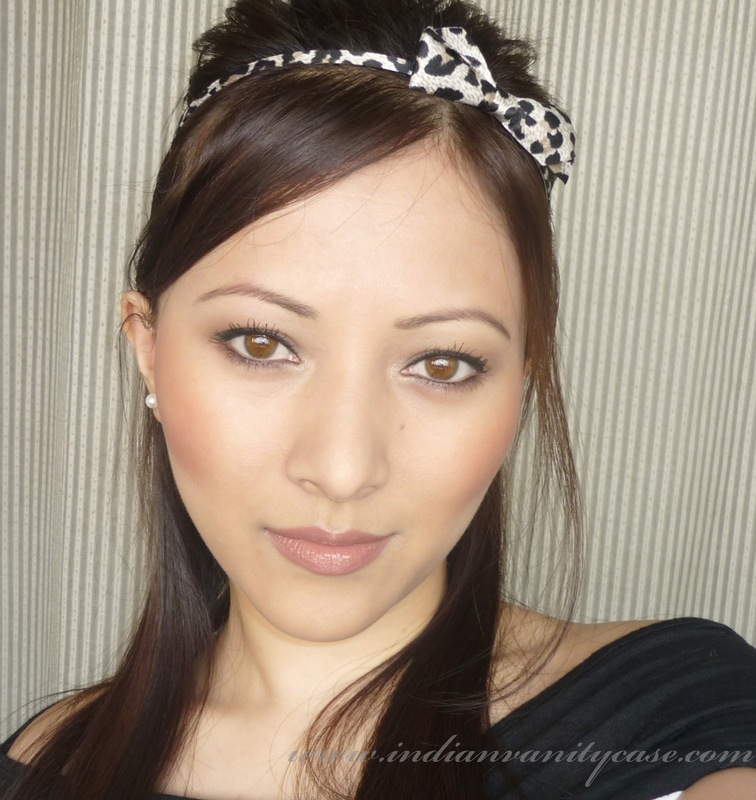 Other products: Matte brown eyeshadows from 120 palette, IN2IT Gel Liner Pencil, Lakme Black Satin Kajal on bottom lash line, Kate Mascara Base, Smashbox Bionic Mascara, Make up For Ever Rouge Artist Intense Lipstick #28 on lips. Of course, you can use all 3 shades together by swirling your blush brush with a light hand and apply. What do you think? Have you got the Blush Trio yet? 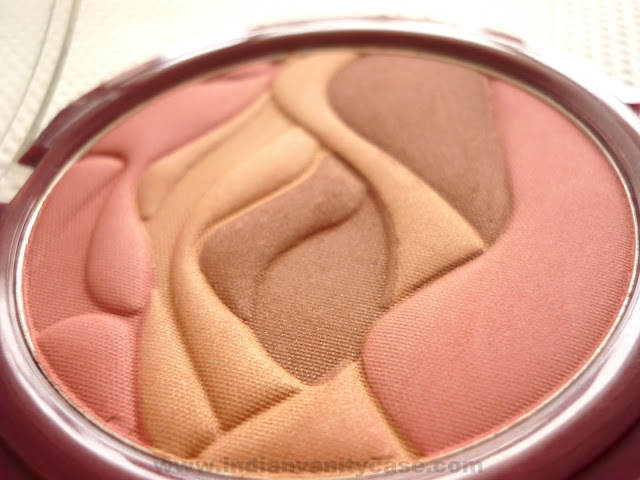 I got the blush too - & I agree it looks super pretty! But for some reason it doesn't last very long me - it is gone in about 2 hours. I think the very creamy Ponds TM is to blame, but I ain't sure.. Any tips? you lookkk very prettyyyy Cynthia!!! Me too got this blush and loveee it...though havnt used it much to test it as such...but I love the shades!! 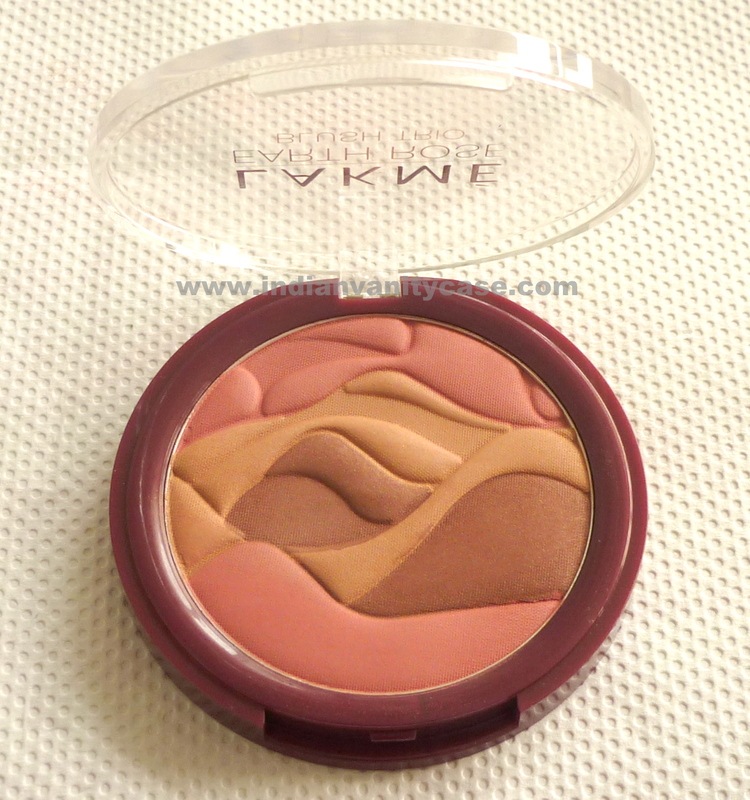 I am already loving this blush. Rashmi ~ haha...ur too much lol...I love u too for being so sweet! Oh u can say which actrees, I want to know! :D. Thanks a ton! LALP~ haha...it's fine, I wish u had it there too :) Thanks!